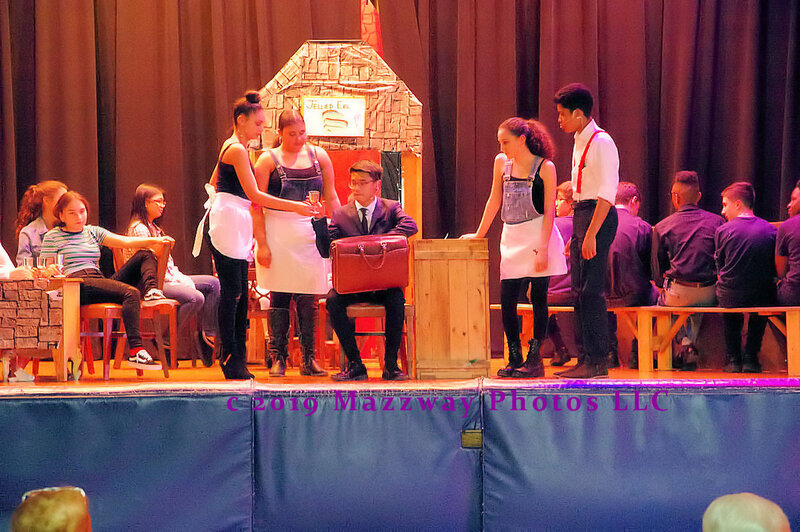 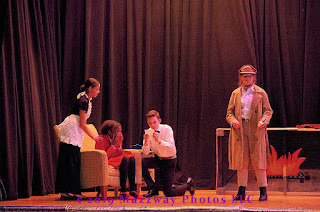 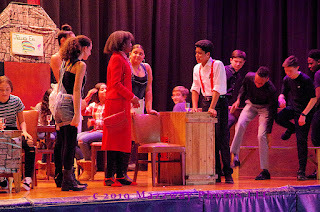 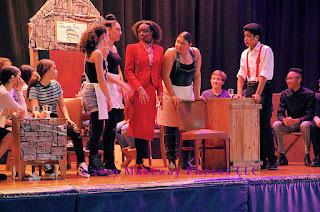 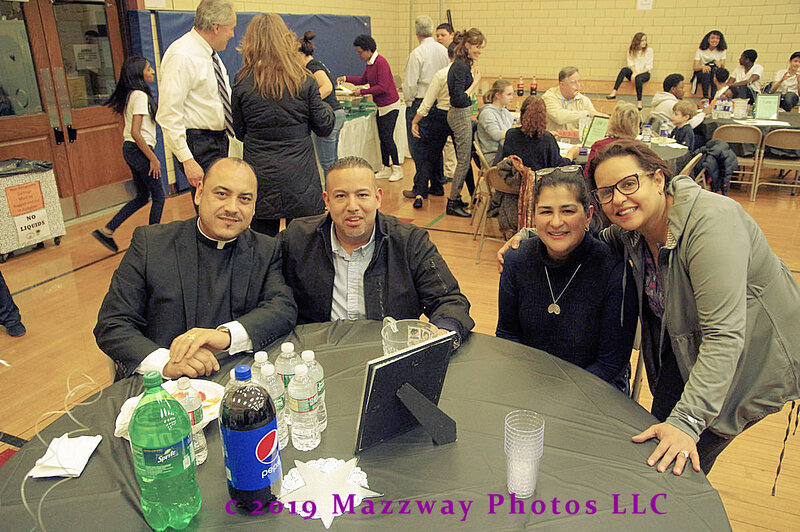 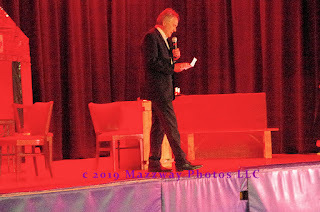 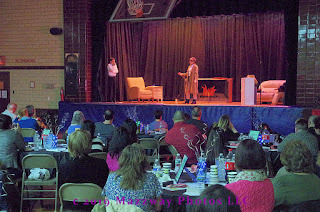 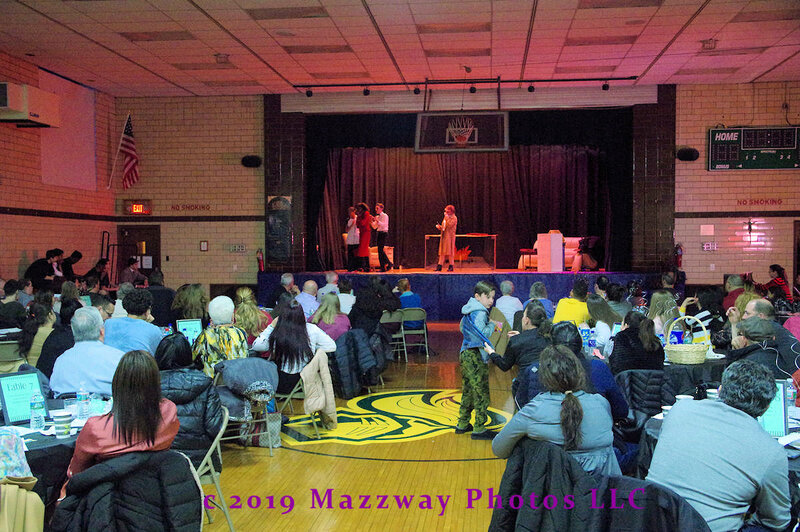 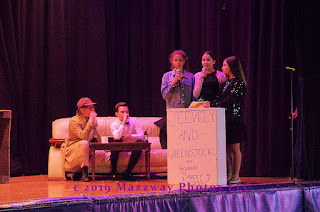 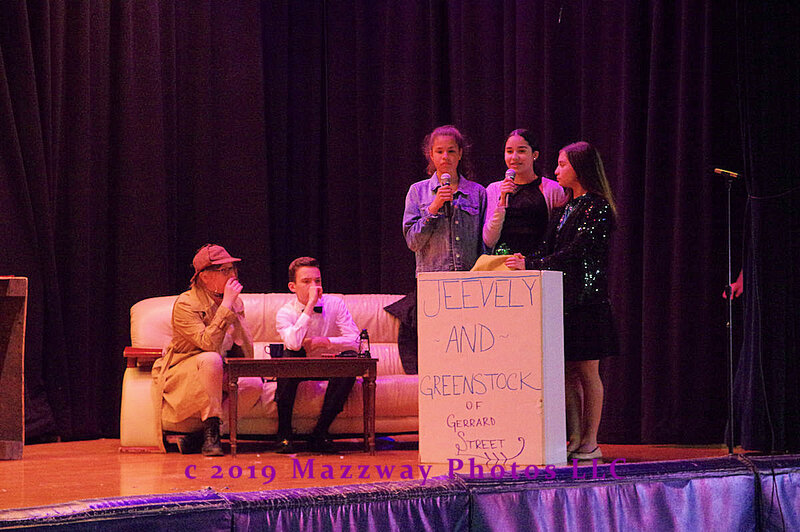 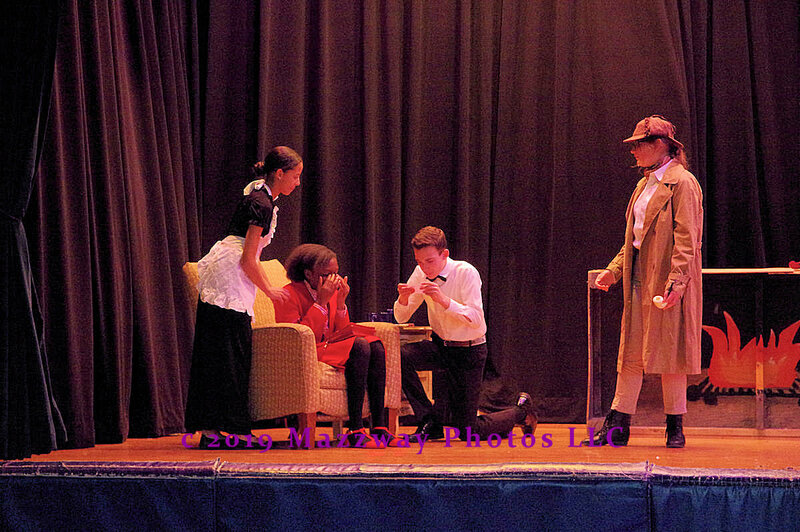 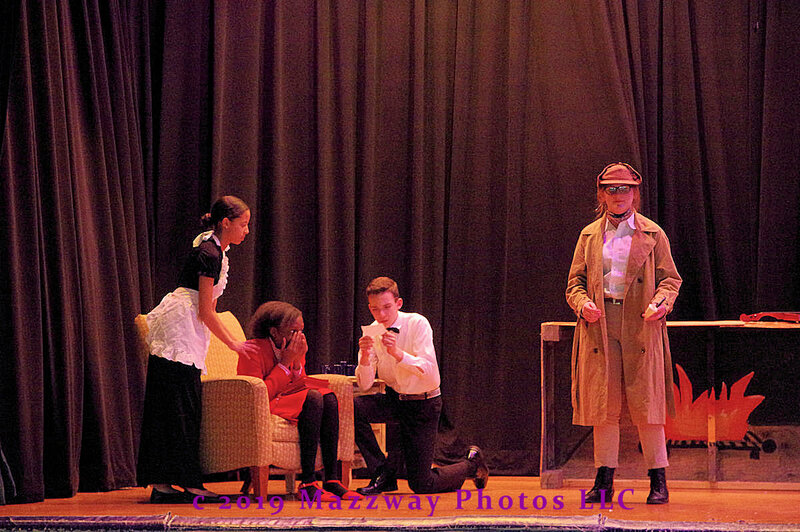 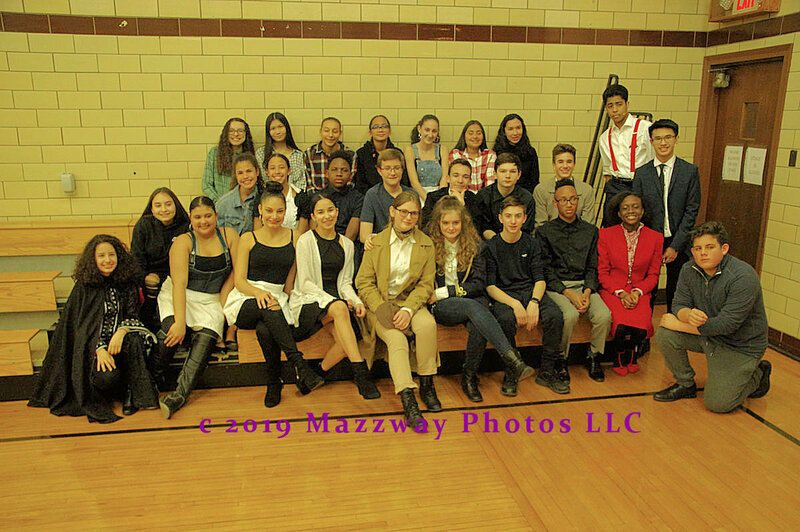 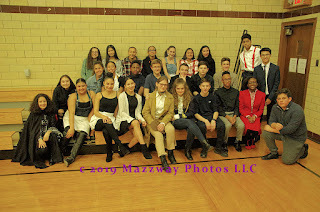 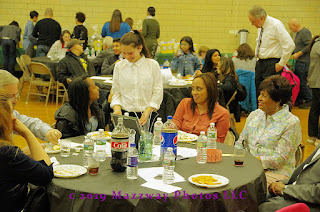 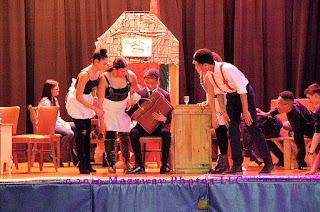 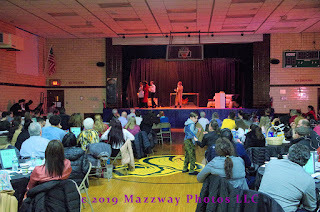 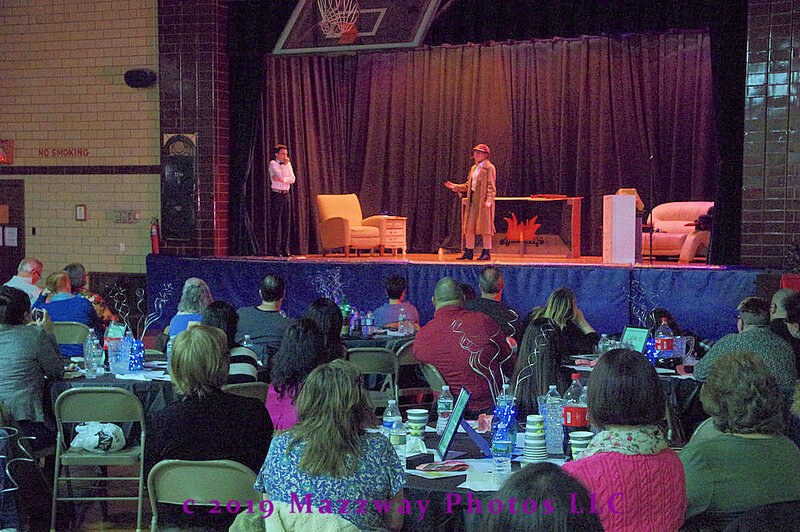 On Wednesday-20-March the St. Joseph’s Eight Grade Class of 2019 presented their annual Mystery Dinner Theatre. For the past 10 years Students staged this production as a fund-raiser for the graduating class. 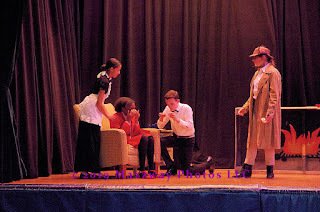 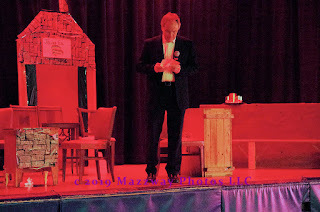 These have been plays based on the Arthur Conan Doyle character of Sherlock Holmes. 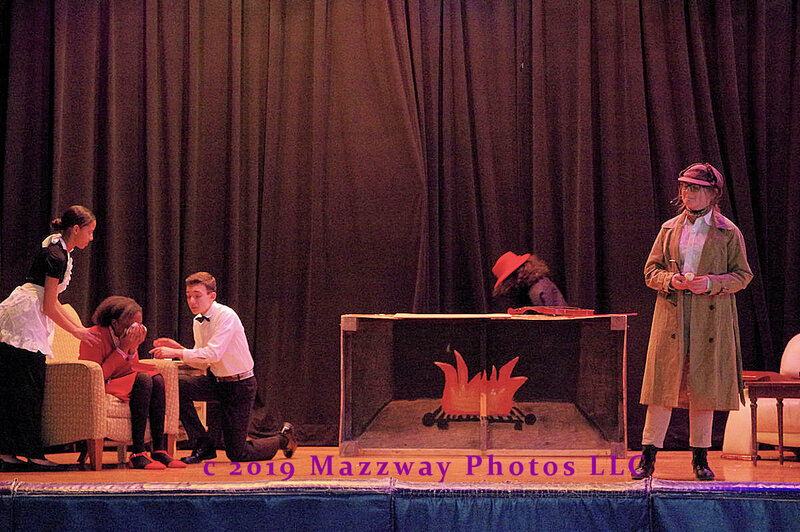 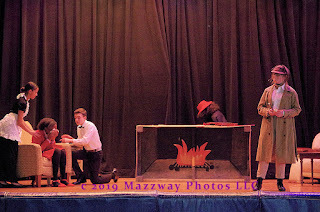 This years selection was “Sherlock Holmes and the Emerald of Alcazar” This production was supervised by Mr. Jeff Moeller and stage by Ms. ShariLynn Minetti. 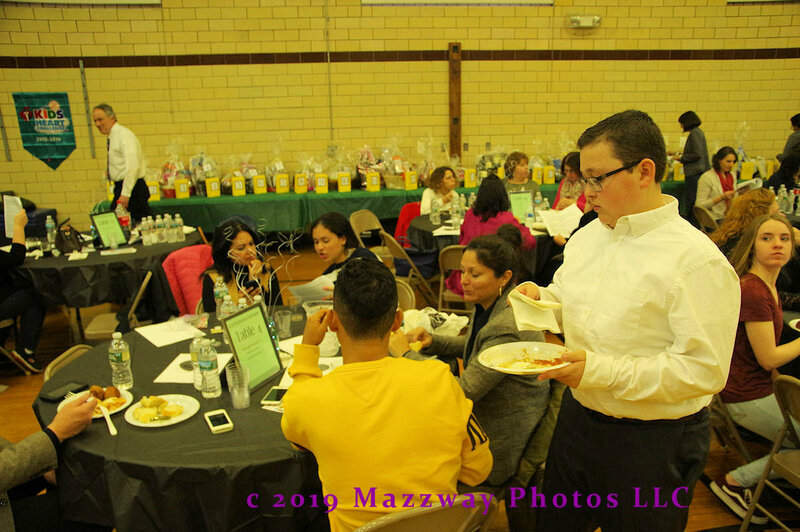 Students from the Seventh Grade Class of 2020 served as waiters for the pre-show meal. 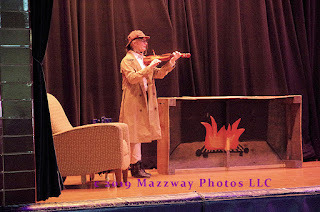 There was also a raffle, and a contest which a winner who has to successfully solved the case before the final seen was played out.